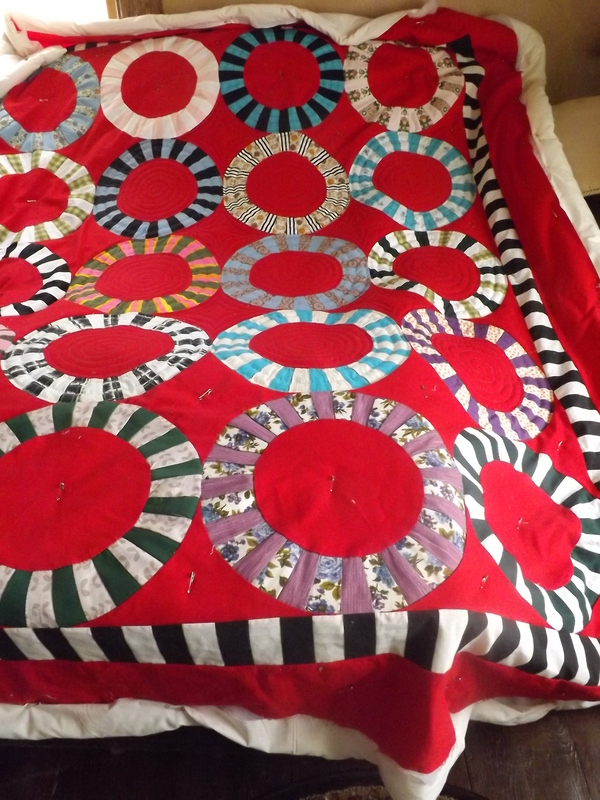 I am making some progress on the Ring Quilt. This entry was posted in Garden, Quilts and tagged hand quilting, Quilts, spring garden. 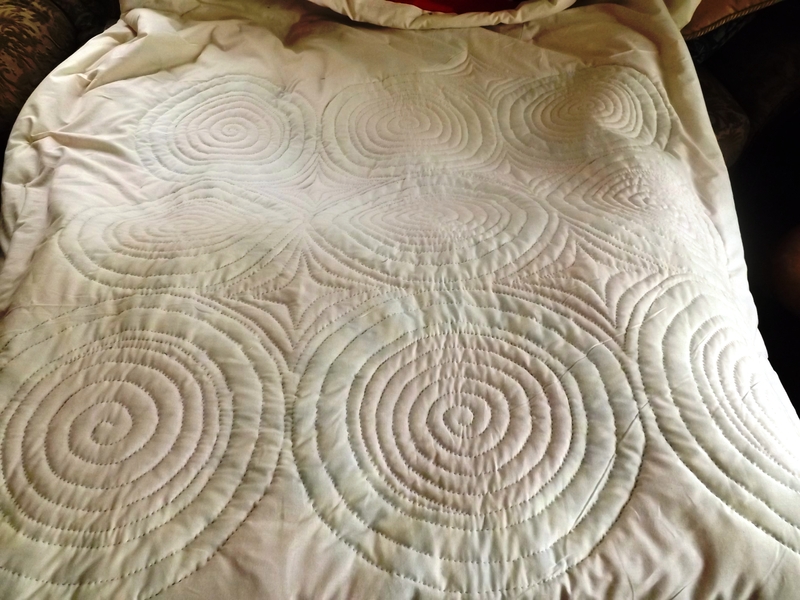 Your quilt looks fabulous. I love the black and white striped border. It’s perfect! What kind of batting did you use? It looks too puffy to be cotton (but then maybe it’s a brand I haven’t seen before). Great work!